A series of qualifying songs came out. The top two players from Japan, the rest of Asia, and North America were invited to compete, alongside a wildcard slot, which went to the person with the highest score for those songs, for a total of seven players. The #2 players from each region and the wildcard all competed against each other to earn a spot in the final round. For the final round, each #1 player from each region picks a song, and all three songs are played. Add up the scores for all three songs, and the highest score wins. We don’t really care about what the other two players picked (FEFEMZ picked Paranoia Revolution and O4MA picked DEAD END, for those wondering); what we’re here for is iamchris4life’s pick. And boy, was it a good one. Let’s talk a little bit about why this pick was so undaunted, so intelligent, and the ? to iamchris4life’s victory. Coming into this tournament, everyone knew about chris4life. He was setting world records by the week for new songs, and achieving scores that nobody had ever gotten before. But Konami had never invited him to compete at a worldwide level, because of the fact that he lived in the United States. With this year, the previously saturated Asian DDR competition had a new force to deal with; one that they knew about, but didn’t have a chance to compete against prior to this. Imagine you’re taking on a new boss in a video game. You don’t know their cunning, you don’t know their tactics, you don’t know their strategy. Their line of attack is a complete enigma, while their goal is obvious: to beat you. Sure, iamchris4life may have gotten the first MFC on a level 16 song ever, but he could have just grinded for days on end to get that score. What about in tournament? How will he play? That’s what it felt like for FEFEMZ and O4MA. Just think of the amount of pressure that they have on them. Their throne—Asia’s throne—would be usurped by a complete unknown stranger to the stage. So they pull out all the stops. FEFEMZ picks Paranoia. O4MA picks whatever. And chris4life picks EGOISM 440. It was at this point that his victory was assured. Because not only is EGOISM 440 a hard chard, it’s also an intelligent chart that works in the favor of whoever picks it. 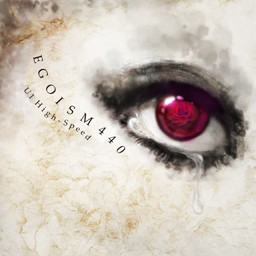 If you haven’t listened to EGOISM 440, I strongly recommend you do. A lot of this next section will rely on you having listened to the song. You can use this video: I’ll also be using timestamps from this video to talk about specific sections of the song. Immediately, the players are reminded of chris4life. This is his choice, after all. This is his song. Who is the “me” in the above line? None other that chris4life. The imagery of the strongest player in the United States is instantly projected into the players’ minds, right from the start of the song. The next measure repeats the same lyrics as the previous measure, to iterate over the fact and heighten the imagery of chris4life’s pick. What’s interesting to note is that, for this measure and the one before it, the chart follows the rhythm of the song, so not only is chris4life’s vision projected into the minds of the players, it’s also projected into their feet and rhythm. The next two measure don’t feature any lyrics at all, but instead begin playing some strong electric synth. This serves as a reminder that this track is no joke; it is a level 19 (the highest level of any song currently in the game). Measures 5 and 6 (starting at 0:12 in the video) act as a combination of the two previous parts; electric synth with more “Do you think about me?”, to iterate the points listed above. Measures 7 and 8 begin to really challenge the players with a high density of 32nd notes. What’s more interesting is measures 9 and 10, though: here’s the lyrics for those. Now, while at first glance these lyrics may seem like the exact same as before, they actually take on a separate meaning given the context of the part of the chart they just played. At this point, the “me” refers directly to the chart itself. Having just survived the stream of 32nd notes, the players mind are all set on surviving the chart. While the imagery of chris4life still lingers in the back of their head, they’re now faced with a new challenge: surviving the song’s taunts and jeers as the song progresses. Measures 11 and 12 (0:25 onward) introduce stops to the track, which is another way of the song throwing taunts and challenges at the players. It’s no longer abiding by common norms for what a song (or a chart) should do; instead, it’s intentionally going out of their way to make the player’s life hell, both in the lyrics and in the chart itself. The usage of the word “kick” here is subliminal, because DDR is a game about stepping on things, not about kicking things. It’s intended to trip up the muscles in the leg, to make a kicking motion instead of a stepping motion. It’s a minor detail, but one that will get even the most high-level of players. Immediately afterwards, EGOISM 440 pulls no punches by reminding them of chris4life once more. And it couldn’t be at a worse time; it’s right when the chart enters its highest note density. The thoughts get to the players, and nearly everyone dropped their combo here, in addition to losing their timing. But not chris4life, and we’ll get to that in a second. It is at this point that the players start getting annoyed with the constant usage of this voice sample, adding a further layer of annoyances and emotional baggage to the already worn-out players. And neither does the chart, because the high density of notes doesn’t end until the fourth iteration of this sample. Just imagine; the high density of notes, combined with the imagery of chris4life taunting the players, made even stronger by the constant reiteration of this sample. That’s how the chart ends; all that’s left is a simple note pattern. Let’s talk a little bit about why this song was such a good pick, why don’t we? Well, by choosing this song as his pick, iamchris4life was able to play with his opponent’s fears and his strength as an unknown force. It’s the only song that would allow him that level of next-leveling, both in skill and via the contents and nature of the song itself. Keep in mind that everything that I’ve said above would apply to any player; it just so happened that chris4life used it to advantage. Instead of being a 1v1v1v1 tournament in the final round, it became a 2v1v1v1. And that assured his victory, after he made a 60-point comeback after—you guessed it—they played his pick, EGOISM 440. So to you, Chris, a toast. A toast for victory. A toast for egoism. And a toast for 440. 440 toasts, even. Nobody else made the pick. You saw the line and danced your way to victory. 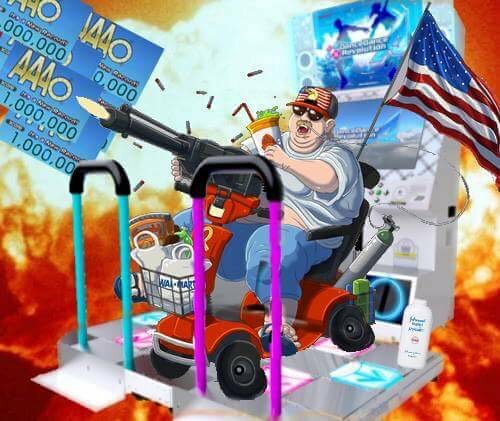 DDR is the reason I listen to nightcore. I’m taking the title back to America.